Get a designer crushed velvet ottoman storage bed frame. 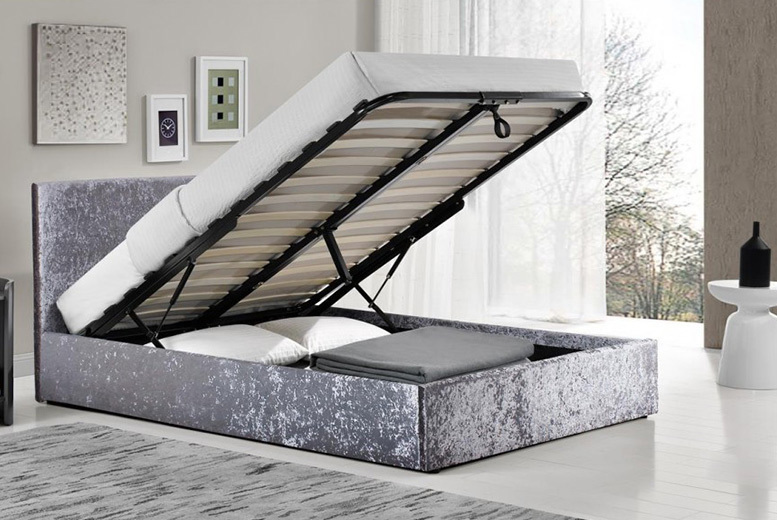 Upgrade to get the storage bed with a memory foam mattress. Easy gas-lift function to reveal under-bed compartment for extra storage The perfect storage solution for a small bedroom or studio. Select a single, small double, double or king size. Ratchet up your bedroom furniture.